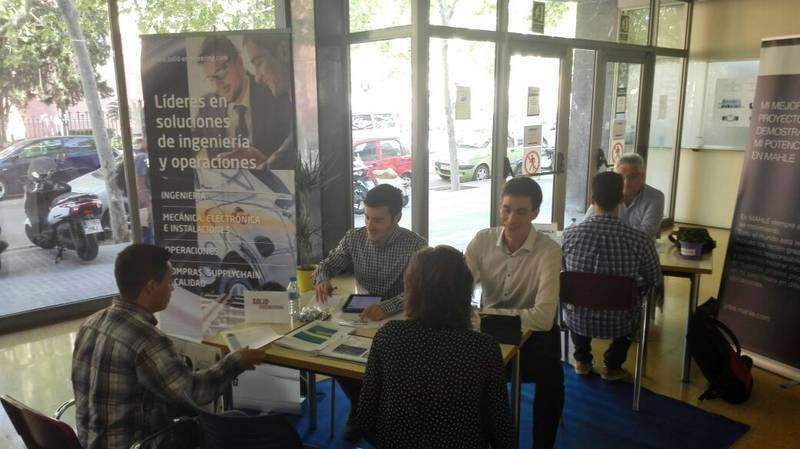 On the 6th May, Solid Engineering attended the 10th edition of the last edition of the Business Fair organised by the Physics and Chemistry faculty at the University of Barcelona (UB), and where the Biology, Geology and Mathematics faculties also participated. The event is a great opportunity, for both students, who can have their first introduction to the labour market, and for companies, who have the opportunity to uncover the current educational reality first-hand and meet many students with great potential. This year’s edition hosted more than 80 companies and allowed students to undertake activities and complementary workshops with the objective of experiencing the current entrepreneurial environment. For their part, Solid Engineering was able to meet diverse university students, many of who would fit into different company projects. Furthermore, approaching the future generation of professionals is always an opportunity to find out about the possible strong points of the laboral world and strengthen bonds. Face2Face with the students from Vilanova i la Geltrú. The Business Fair at the University of Barcelona wasn’t the only event for students and companies that Solid Engineering had attended over the course of the last few weeks. On the 7th of May, the company attended theFace2Face event that the Polytechnic University of Catalonia (UPC) organised at its site in Vilanova i la Geltrú (Barcelona). Face2Face is a very dynamic event, focused mainly on interviewing the students, most of whom are looking to have their first foray into the labour market through internship programs. The event is also attended by students who have previous work experience and the objective to share their experiences to companies within the sector. The event at Vilanova i la Geltrú, which was attended by more than 20 companies, saw the participation of big companies like Endesa, Indra and Accenture. Students, aware of the importance of their first contact with the working world, took this chance to network with the companies that have the best fit with their line of studies. Solid Engineering takes part in diverse events of this type at various Catalan universities every year. To know future talented professionals up close encourages the company to continue to gamble on their most important asset: human capital.